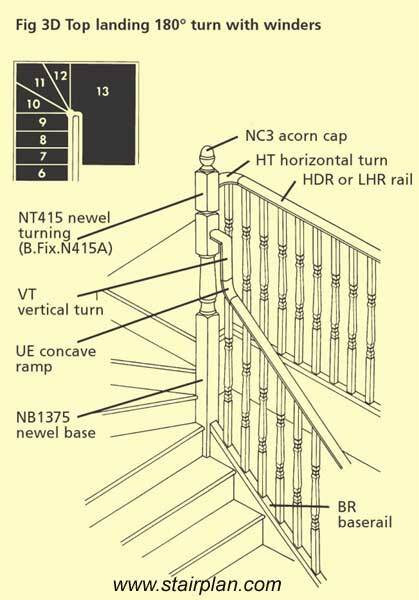 Use these drawings to work out the parts you need to order for your stair renovation project. 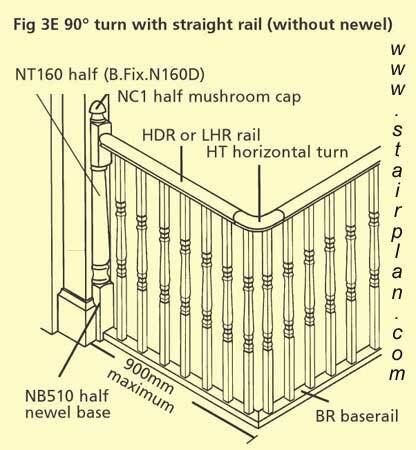 Here you can see the most common detail found at the top of a staircase, here the handrail returns inline with the staircase, you can see a HT handrail turn fitting is used tu come out of the side of the top newel post and turn the handrail horizontally inline with the staircase, the Handrail to newel connections are recommended to use the Stelten handrail fixing, and nte Handrail to Handrail connections would use Handrail Bolts. 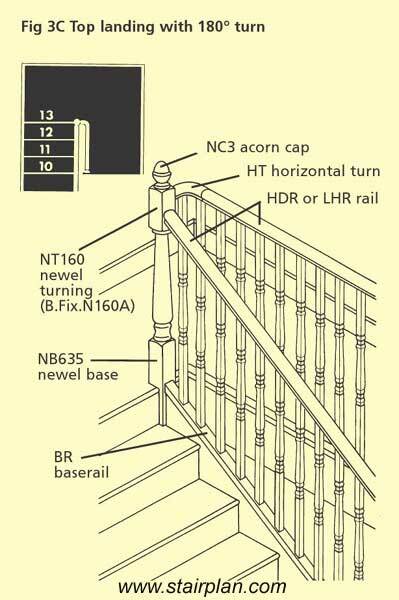 Here you can see a goose neck handrail details used where the stair has a winder at the top of the flight. 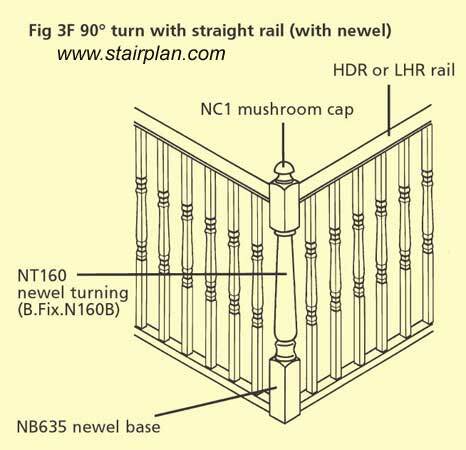 Horizontal turns on landings can have a detail like the one shown above without a corner newel post on shorter runs. Here you can see the detail with a newel post in the corner. 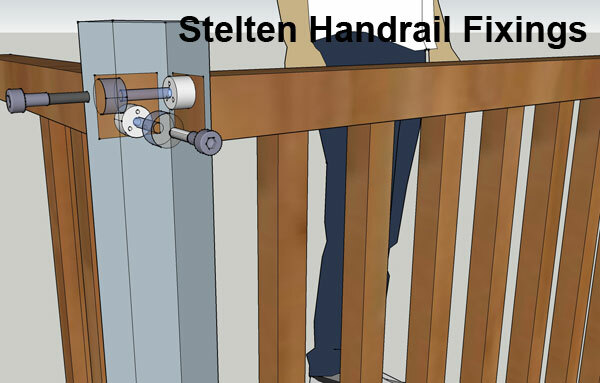 Stelten handrail fixings can be used in this scenario.